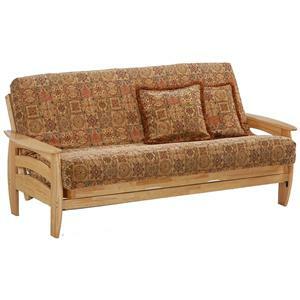 This sleek and multifunctional futon piece is an intelligent choice for a variety of rooms in your home. 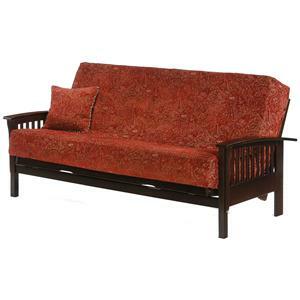 Featuring sweeping and modern curved support arms, and a sturdy construction design, this piece converts from an extremely comfortable sofa by day, to a functional sleeping option by night to accommodate guests, friends, or family. 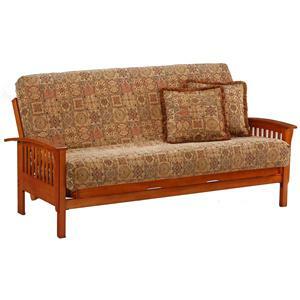 With an intelligent and sleek, contemporary design, as well as a variety of available upholstery options, six different finish options, and three futon sizes, including Chair, Full and Queen size options, this futon is certain to be a lasting and useful furniture choice for your home. 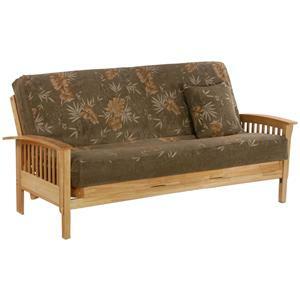 The Corona Teak Full Size Futon by Night & Day Furniture at Furniture and ApplianceMart in the Stevens Point, Rhinelander, Wausau, Green Bay, Wisconsin Rapids, Marshfield, East and West Madison, Wisconsin area. Product availability may vary. Contact us for the most current availability on this product. 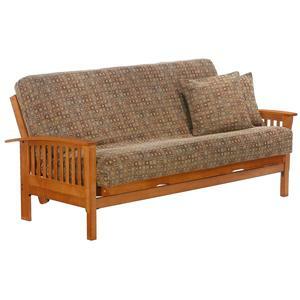 BA-COR-TE+BN-FUL-TE Teak Full Size Futon 1 83.875" 39" 34.375"
Seat Back Folding mattress seat back. 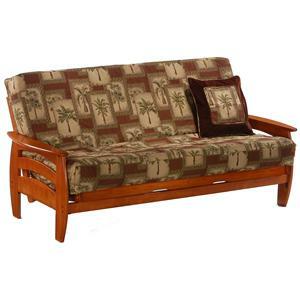 Seat Plush padded futon mattress seat. Save space in any room in your home while adding great functionality with this smart and sleek designed futon collection. 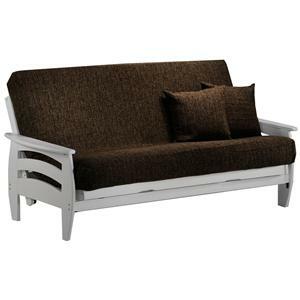 The Corona collection provides a group of pieces that provide a sleek seating space during the days and a great sleeping space for guests in the evening, in a clean and smart-looking design that provides a great amount of options for your home. 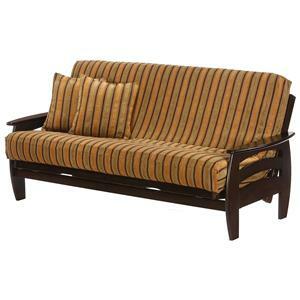 Available in Dark Chocolate, Honey Oak, Natural, Rosewood, White, and Teak finish options, as well as three different size options, including Chair size, Full size, and Queen size, the Corona collection will provide a futon that meets your exact needs in your home for years to come. 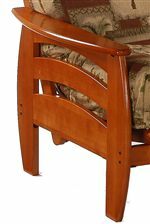 The Corona collection is a great option if you are looking for Contemporary furniture in the Stevens Point, Rhinelander, Wausau, Green Bay, Wisconsin Rapids, Marshfield, East and West Madison, Wisconsin area.